The teaser of Thalapathy Vijay's Mersal is yet-to-be-revealed, but the film has already turned into a money spinner for its producers, Thenandal Films. Reportedly, the satellite rights of the Thalapathy starrer have been sold to Zee Network for a whopping amount of Rs 30 crore. 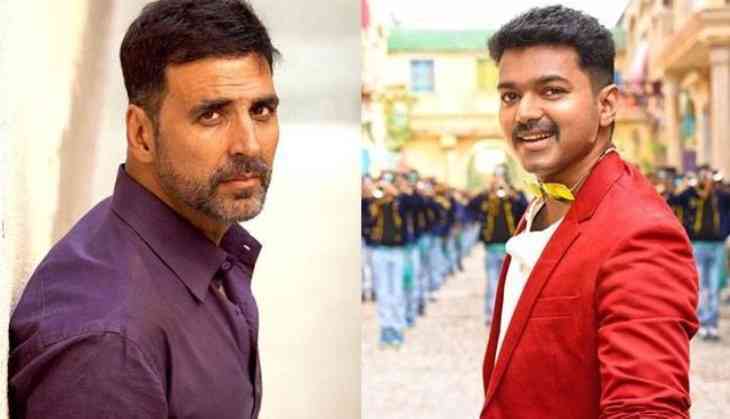 Interestingly, Mersal is the third big deal for Zee TV as they already bagged two of the biggest upcoming South films, Rajinikanth-Akshay Kumar starrer 2.0 and AR Murugadoss, Mahesh Babu Tamil-Telugu bilingual SPyder for a whopping price of Rs. 15 crore and Rs. 115 crore respectively. Mersal is touted to be the 100th film of Thenandal Films. Written by K. Vijayendra Prasad of Baahubali and Bajrangi Bhaijaan fame, Mersal has been directed by Atlee, the director of Vijay's 2016 hit film Theri. Mersal is slated to hit the screens on the auspicious occasion of Diwali.